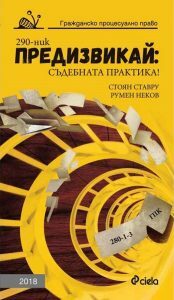 Civil Society, Parliamentary Democracy and Political Parties in a Transition Period | Предизвикай правото! In the political reality of Central and Eastern European countries there is a very popular term, depicting the period followed the socialist era. That is the term “transition”. This short word comprises an essence of a complicated socio-political transformational process. The transition is characterised with crucial political, economical, institutional and legislative transformation. Communist party was deprived from its dominating position in state governance and in social life. Communist state order, hierarchy and secret service were transformed. The population was pushed into dramatic ideological and even interpersonal controversies. As it is stated in the doctrine: “Political division harms both the state and civil society and mostly the latter”. We became witnesses of property change (from state governed economy to private companies and individual owners) and unprecedented change of political, legal-normative and social values. The legislation changes, especially in the field of political relations become more and more frequent. These processes take the scholar’s attention and provoke scholar’s mind to theoretical legal-political analysis, conclusions and suggestions. 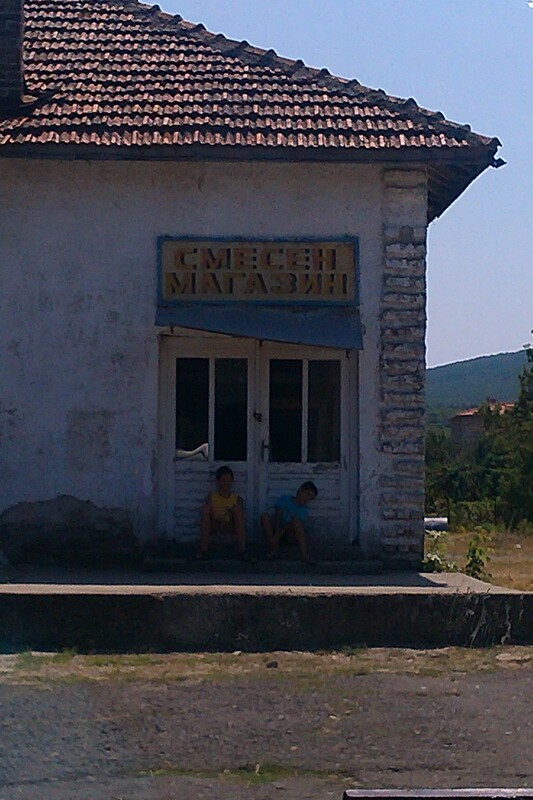 As a clear example of the above mentioned processes in a period of 24 years Republic of Bulgaria endures a chain of serious (even severe) changes. The type of economy was changed from a plan regulated to a free market. A new democratic constitution was accepted after a dramatic period of debates and political battles (that is the so called July Constitution from 1991). This constitution officially belongs to the fourth constitutional generation. The doctrine of political pluralism became a dominant paradigm. Many political parties with formally different ideologies were founded (up to the present moment more than 130, including: Beer party, Pirate’s party, Federation of the anarchists, etc.). The greatest amount of support gain so called “catch-all parties” which occupy the leading positions at political stage. In political reality there are three to four serious political formations with a solid electoral basis and real possibilities to act as veto players. This is confirmed in other analytical studies on the problem. The society started building up a modern parliamentary democracy. The legislation and the type of government were changed following the dominating western models. Many unknown in previous 45-years period institutions were founded, the President, the Constitutional court, the Supreme judicial council (the so called “Government of the Judicial system”) and the National ombudsman among them. This formal, public side of political reality of today exists simultaneously with constant increase of citizen’s demands towards the political parties, the state and its official public representatives. Now we are faced against social instability and dramatic social divergence. The relations between politicians and civil society in post-soviet geopolitical sector are not deep enough and sufficient. Many people are on the brink of desocialisation or already are in such a dangerous position. The level of unemployment increases constantly. Great amount of citizens define political reality as a fake. The political and economic crises are a non-doubtful fact. Many social scientists, politicians and common citizens ask themselves similar questions: Why the things went to wrong way? What should be done? What is the cure to the social disease? The answer of the science must be appropriate, secure and a complete one. Political-legal outlook from the researcher’s point of view reveals many important conclusions, troubleshooting methods and tactics. First of all, citizens of young democracies obviously suffer the lack of information and expertise concerning the main political ideas of today, political culture, public morals, the actual global political processes and trends. Here we need to take many basic lessons on foundations of civil society and parliamentary democracy. The cultural background in this respect is really very tiny and non-durable. These problems become more obvious and acute as far as so called political establishment is objectively recruited from the midst of the society itself. Unfortunately as a result in the early years of the newborn democracy and sometimes later until nowadays even at very high state and political levels we are witnesses of incompetent decisions, dramatic breach of professional moral code, unsuitable behavior, unsuitable vocabulary and false stock phrases alien to the local public. That’s how we have many speakers and little useful information and suitable suggestions (on the surface – logorrhea, beneath the surface – social silence). Also there are (e.g. at international meetings, party meetings, parliamentary debates, press-conferences, political round tables, official interviews) cases of cultural deviations, verbal and even physical aggression towards the opponent or the journalists, and last but not least an unsuitable or bizarre dress-code (dress up). In this disadvantageous situation increases the crucial role of some powerful agents. These are the media and especially the public electronic media – radio and television in cooperation with prominent academics with competence in respective fields of legal and political knowledge (e.g. in Legal theory, Political doctrines, Constitutional law, EU law). Media are powerful tools in the process of cultivating basic political culture and delivering the respective information. The young civil societies need legal and political education and cultivation so as to obtain certain sufficient levels of humanization and self-respect. Moreover, citizen’s legal-political knowledge encourages active participation in political process. Education in political culture and civil values requires time and patience, but the noble efforts in this direction are priceless. As it is stated in the doctrine: “In any country the democratic method will not survive unless it becomes a way of thinking. And could it become a way of thinking without declaring the fraternity which unites all human beings in a common destiny? Every single day we become witnesses of this common destiny and with the drop of bright rationality that lightens our way we should confess that fraternity and act in a respective way”. Secondly, political system should be transformed according to the principles of transparency and citizen’s (in specific party members) inclusion. As a result we obtain more power in the hands of the party’s majorities and the electoral body. Today we have a high level of political fragmentation. In the same time a well known political problem is that in so called young democracies in Eastern Europe in certain political parties there is a lack of inter-party democracy. The most important normative and personal decisions in practice are pretty rarely result of a deep discussion and in conformity with the different positions. The regular party members are to some extent isolated from this process. As a result we have lower levels of political activity from the citizens’ side. To be a party member today is not an attractive occupation. This wrong tendency must be stopped. The political parties in the modern parliamentary democracy are the main political subjects (the engines) that organize and guarantee legitimate enforcement of the state powers. These subjects possess a potential to satisfy citizens’ demands and current social necessities. Also the leading political parties by presumption should be factors for stability and constant development of the society and economy. Every competent party member should be an active part of decision making process and should obtain possibility of personal political career at certain upgrading levels during his/her professional life. The society itself as a veto player should be sufficiently empowered too. A step forward in this direction is a certain legislative change in the Bulgarian electoral code. The Electoral code should provide a possibility of citizen’s interference into the list of candidates for the National and for the European parliament. It is necessary to be stated a reasonable percentage for preferences (e.g. 5%) so as to make this electoral technique effective. That is realization of the so important preferential vote. Also in this respect comes the need of widening the scope of the direct democracy. Certain forms of direct democracy are the best instruments to stay close to the public’s demands and to the basic social trends. Direct democracy is an expression of the people’s sovereignty. The most important forms of direct democracy in this respect are the referendum, the citizen’s initiative, the European citizen’s initiative (Regl. EU No. 211/2011) and the meeting of the inhabitants of the certain settlement. Direct democracy should be more and more actively used in local communities so as to solve the current local problems. Collective body of free citizens should be engaged in political process as a collective veto player. There are certain states with excellent examples in this respect that we could use as a good model (e.g. Federal republic of Germany or Switzerland). Also these mentioned forms of direct democracy help to overcome the threat of desocialisation. In this respect the Constitution of Republic of Bulgaria needs an important amendment. A new constitutional chapter concerning legal-political framework of direct democracy should be created and accepted. This chapter should specify which issues of basic public interest must be discussed and arranged by means of the instruments of direct democracy (first of all at the national referendums and the local ones). 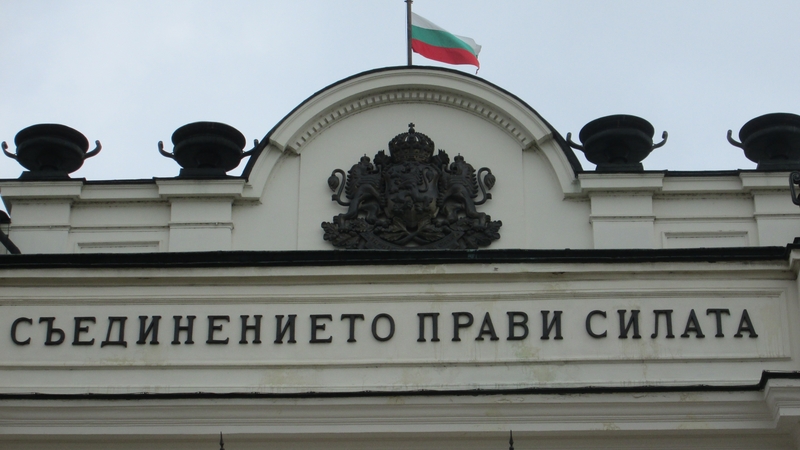 Also some crucial changes should be made in the basic legislative act concerning direct democracy in Republic of Bulgaria – the Act of Direct Participation of the Citizens in State Governance and in Local Affairs. These changes should be in direction of easing people’s initiative concerning issues of public or local interest and taking public’s decisions faster and more effective. Unfortunately so far the instruments of direct democracy are used only sporadically and without any serious impact on the quality of the social living. By all means the instruments of direct democracy should be more actively used as a counter balance to the almighty public institutions which always tend towards self-capsulation and sometimes towards neglecting public’s necessities and demands. Thirdly, the National parliament should start fully and thoroughly executing its constitutionally settled functions: political (representative, integrative, communicative) and legal (legislative, constitutive, monitoring). For the time being the central executive state power – the government (the Council of ministers) – is the most active figure as an initiator in the legal drafting procedure. The National assembly is the greatest symbol and foundation of the modern democracy and the free civil society. The parliaments of the modern democratic law ruled states are a unique product of a long term ideological and political evolution. “The parliament is emanation of a political doctrine that is maintained and developed in respective working models from the end of XVIII century to nowadays… Exactly the parliamentarism as a legal-political doctrine secures the remarkable, crucial transition from the absolute monarchy (illustrated by the expression “Le Roi Soleil”) to the legitimate law-governed state, where the only sun is the Law (La Loi Soleil)”. In this order of thinking every individual MP should obtain certain level of political culture and knowledge concerning the basic political processes and legal-political notions and techniques such as: human dignity, basic human rights, main political doctrines, political pluralism, constitutional generations, anti-system political party, constitutional (political) consensus, parliamentary procedures, etc. Also in this respect the legislation power in a transition period badly needs a competent expert ally. This could be a consultative body of top legal experts – a Legislation council. This body is responsible for a deep professional legal analysis of the legislation drafts so as to ease the work of parliamentary members which do not possess the respective competence. It is necessary to initiate a constitutional change in this direction so as to make this institution a constantly existing collective body attached to the National assembly. Also concerning the position and activities of the MPs there is a necessity of important normative regulator. Without any doubt it should be created and accepted Bulgarian political moral code concerning the members of the parliament and other high level ranked public servants. This code will found a clear and incontrovertible professional moral framework concerning these positions with certain obligatory requirements in their professional engagements in public matters and their attitude towards the common citizens with their demands, necessities and claims. Next, a young parliamentary democracy requires a fine balance between the supreme state powers. In this direction of thinking the ruling instruments of the head of state – the President of the Republic – should be expanded. The figure of the head of state in the modern law ruled state appears as a result of a long evolutional legal-political process. The starting point was marked at the end of XVIII century with struggles for a new state order and new constitutional political values in Western Europe and the newly founded USA. Thanks to this evolutional process today the head of state maintains the crucial position of “pouvoir neutre”. In Republic of Bulgaria the president is directly elected of the citizens with electoral rights. This majoritable election requires respected power tools in the hands of the president so as to correspond to his national support. Respective president’s prerogatives must be settled in the field of foreign policy and national security – domains of high state priority. Also by all means the president should obtain the instrument of legislative initiative. This figure as a head of state couldn’t execute effectively his functions without this powerful tool. Here in this order of thinking must be thoroughly examined and resolved the issue concerning the place of the state prosecution service. To this group of problems belongs the need of creating a new division in the Constitutional court responsible for private citizen’s complaints against anticonstitutional legal normative acts. The above mentioned de lege ferenda suggestions drive the scholar’s mind towards the idea of possible necessity of an entirely new constitution. Furthermore, this approach will allow giving an appropriate political-legislative answer of many new phenomena (е.g. bioethics issues), relations and problems that have emerged during the transition period between 1989 to the present day. In conclusion, from the researcher’s point of view, a transition period is extremely interesting and fruitful one as a socio-political challenge and an academic troubleshooting task. Here is revealing an opportunity for social science to resound through the social silence with theses and debates on the most acute problems. The academics are responsible for producing the objective conclusions and possible answers. The transition period is a test for the capacity of the science’s potentials to fulfill its basic functions – analytical, teleological, prescribal and prognostical. Social sciences and especially Legal theory and Constitutional law always must fight for humanity and other basic legal-political values: rule of Law, human dignity, freedom, personal inviolability, right of defense, rational free choice, equal electoral rights, social evolution. A suitable ending of the stated above are the words of a prominent writer and academic: “I believe that the order is better than chaos, creation – better than destruction. I prefer patience to violence, mercy to revenge… I think that knowledge is preferable to the ignorance… I believe in courtesy, in this ritual, by means of which we avoid to affect other people, satisfying our own person”. Nenovski, N. Civil society – State – Law. S.: Lik, 1996, p. 46. See also: Hulsey, J. and J. Bielasiak. Party System Determinants of Electoral Reform in Post-communist States. – In: Comparative Communist and Post-Communist Studies 46:1, 2013, p. 2, 5, 6. Concerning the notion “veto player” in the constitutional theory see: Tsebelis, G. Veto Players. How Political Institutions Work. New York, 2002. See: Knutsen, O. Social Structure, Social Coalitions and Party Choice in Hungary. – In: Communist and Post–Communist Studies 46:1, 2013, p. 37. Building up a free civil society requires cooperation between state and the autonomous structures of the society. The state legal regulations should play a role of legal framework of this fruitful process. The problem is that these social structures are not enough stable and powerful so as to fulfill their functions. There are many obstacles in this direction. See also: Nenovski, N. Op. cit., p. 45. Some papers confirm this suggestion. See: Kunovich, R. Political Knowledge in Poland. – In: Communist and Post-Communist Studies 46:1, 2013, p. 76. Bobbio, N. The Future of Democracy. S., 1995, p. 22. See also: Hulsey, J. and J. Bielasiak. Op cit., p. 4, 5. See also: Ipsen, J. Staatsrecht I: Staatsorganisationsrecht. Luchterhand, 2001. See also: Belov, M. Political Parties and Democratic State in the Contemporary German Constitutional Model. S.: Sibi, 2007; Nohlen, D. Wahlrecht und Parteiensystem. Zur Theorie der Wahlsysteme. Opladen, 2004. See Kyosev, I. State and Society in Crisis. Legal-political Dilemma – Changes and/or Values. – In: Society and Law, 2013, No. 8, p. 78. See also: Rousseau, J.-J. Du Contrat social ou Principes du droit politique. S., 1988, pp. 161-164; Bobbio, N. Op. cit., p. 14. See also: Tanchev, E., M. Belov. Contemporary Constitutional Law. S.: Sibi, 2009, pp. 410-412. Kyosev, I. 24 Years Parliamentary Democracy. And Now to Where? – In: Society and Law, 2013, No. 2, p. 16. Clark, K. Civilization. S., 1989, pp. 380-381.